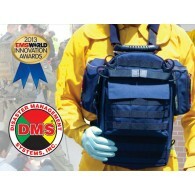 DMS-06111 Evac123® Hospital/Facility Evacuation 60 Package HICS Compliant Patient Accountability from DMS. Applicable to NHICS facilities. Track the evacuation of up to 60 patients 60 - Evac123 Evacuation Tags (DMS-05854) 3 - Evac123 Room Evacuation Storage Clipboards 6 - E..
DMS-06112 Evac123® Hospital/Facility Evacuation 100 Package HICS Compliant Patient Accountability from DMS. Applicable to NHICS facilities. Track the evacuation of up to 100 patients 100 - Evac123 Evacuation Tags (DMS-05854) 5 - Evac123 Room Evacuation Storage Clipboards ..
DMS-05857 Evac123® Hospital/Facility Evacuation 200 Package HICS Compliant Patient Accountability from DMS. Applicable to NHICS facilities. Track the evacuation of up to 200 patients 200 - Evac123 Evacuation Tags (DMS-05854) 10 - Evac123 Room Evacuation Storage Clipboard..
Evac123® Room Evacuation 1 Package HICS Compliant Patient Accountability from DMS. Applicable to NHICS facilities . Component 1 of the 3 components of the Evac123® Hospital-Care Facility Evacuation System is Room Evacuation. The Evac123™ System was developed by Disaster Managemen..
DMS-05860 Evac123® Transportation Step 2 Package HICS Compliant Patient Accountability from DMS. Applicable to NHICS facilities . Component 2 of the 3 component Evac123® Hospital Evacuation System is HICS 255 Staging and Transportation. The Evac123™ System was developed by D.. Rapid Extraction Stretcher DMS-06068 Nothing moves like a REX. 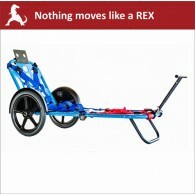 The new REX-R1 rapid extraction stretcher is the definitive tool for first responders and first receivers to move patients rapidly. Unlike any other system, the R1 allows a single resource to move virtually any patient, anywhere. It’..
DMS-05861 Evac123® Destination Step 3 Package HICS Compliant Patient Accountability from DMS. Applicable to NHICS facilities. Component 3 of the 3 component Evac123® Hospital Evacuation System is Destination. The Evac123™ System was developed by Disaster Management Systems in close c..
DMS-05855 Evac123® Room Evacuation Step 1 Receipt Holder Refill HICS Compliant Patient Accountability from DMS. Applicable to NHICS facilities. These Waterproof Synthetic Card Evac123® Hospital Step 1 Room Evacuation Receipt Holders utilize specially designed clear vinyl pockets to h..
DMS-05859 Evac123® Destination Step 3 Receipt Holder Refill HICS Compliant Patient Accountability from DMS. Applicable to NHICS facilities . These Waterproof Synthetic Card Evac123® Hospital Step 3 Destination Receipt Holders utilize specially designed clear vinyl pockets to hold "Des..
DMS-05854 Evac123 Hospital or NHICS Care Facility Evacuation Evacuee Tag HICS Compliant Patient Accountability from DMS. Applicable to NHICS facilities. 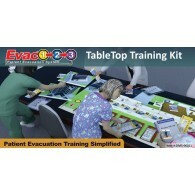 The DMS-05854 Evac123 Hospital or NHICS Care Facility Evacuation Evacuee Tag is an integral part of the new Evac123 Modular Evacuation Syst..
Evac123® System Instructional Flip Chart Hospital/Skilled Nursing Facility Evacuation HICS Compliant Patient Accountability from DMS. Applicable to NHICS facilities. 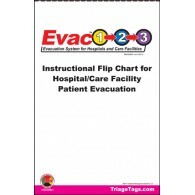 Use this handy large flip chart to train personnel the Evac123® method of hospital or skilled nursing facility evacuation tracki..